The Easter Bunny has asked us to help deliver Easter eggs to all the children of Europe. 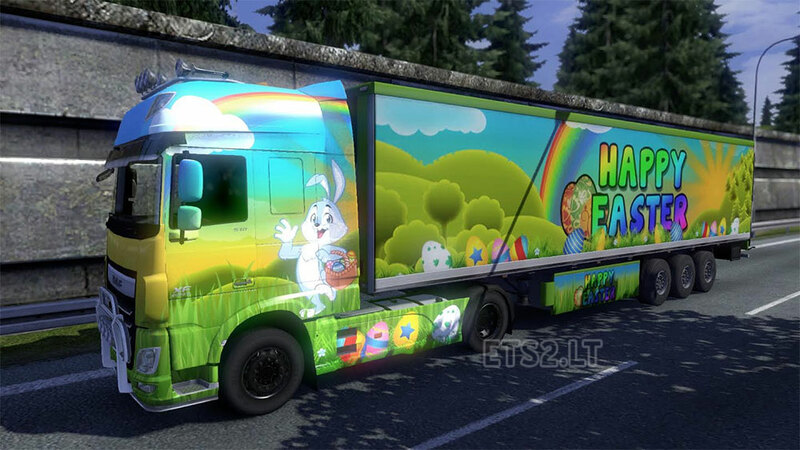 So to help the Easter Bunny out we have released a new skin for the DAF Euro 6 and a brand new skin for the refrigerated trailer in Euro Truck Simulator 2 (ETS 2). The JNR-SNR Easter Skin is available in the download section for all to download and enjoy. It comes in 3 different flavors. 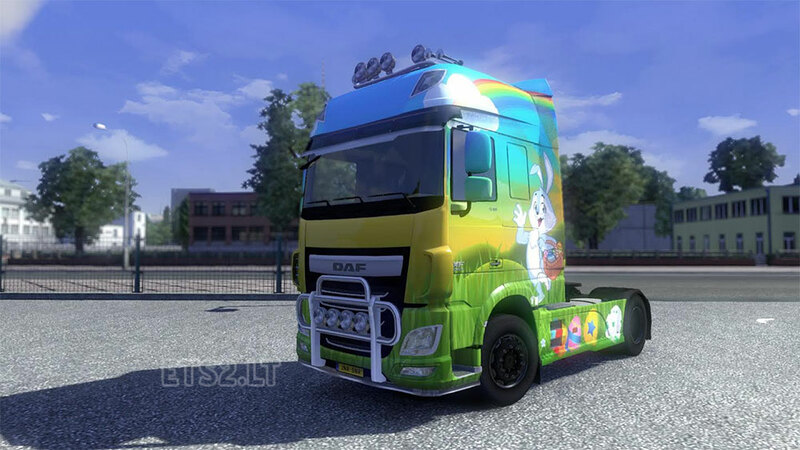 The first is the Easter skin for the DAF Euro 6 by itself. 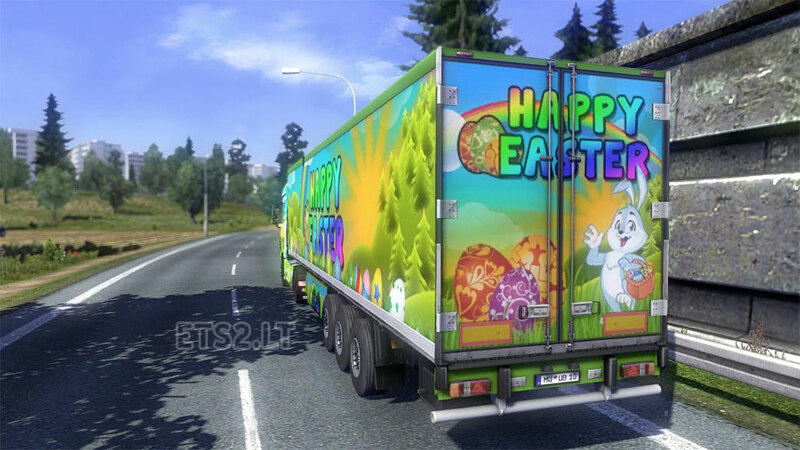 Then there is the Easter Skin for the trailer. Then there is a link with the both combined together to make it a bit easier in game. So make sure you don’t disappoint all those children for Easter and start delivering Easter Eggs now. Click on the link/s to start downloading.